GSMArena team, 25 June 2018. AMOLED panels have matched and even outdone LCDs in the mobile world in the past few years, with most of their downsides having been alleviated or fixed. So it's getting quite hard to root for LCDs in this 'battle'. The Samsung Galaxy S9+ probably has the best AMOLED screen ever put in a phone: it's incredibly vibrant, has inky blacks as you'd expect, and great contrast. 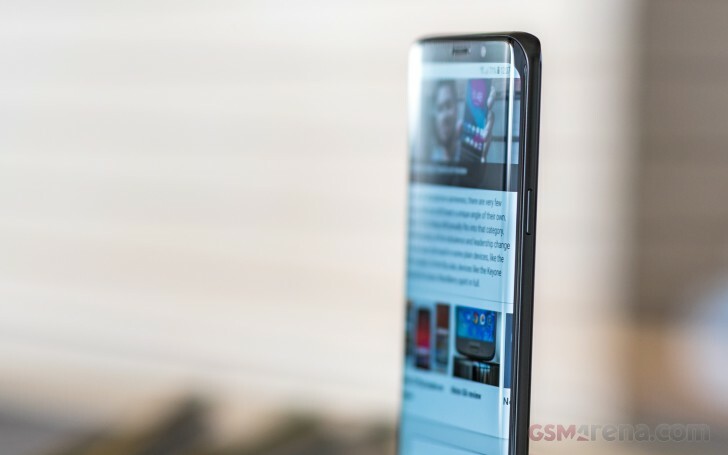 The company keeps one-upping itself in this area, with every new flagship boasting slight improvements in the screen, even though the previous one was already its best yet. It's not just the hardware. Samsung's famous propensity for giving you tons of options shines in this area. If you don't like the colors, you can change them. The Adaptive Display setting is default and best for most users, yet if you want a more accurate color rendering conforming to the DCI-P3, Adobe RGB, or sRGB color spaces, it's only a tweak away. But wait, there's even an Advanced mode which lets you individually set red, green, and blue levels. 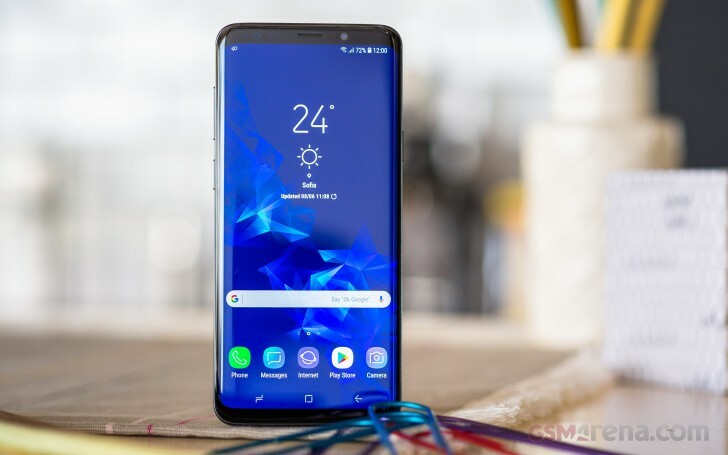 Additionally, you get HDR10 video compliance with the S9+'s screen, to make videos adhering to the standard even more immersive. Samsung's auto-brightness system deserves an award for being the best one implemented on any Android build (at least so far). It works well on its own, reaching a higher peak brightness level than its achievable in manual mode, so sunlight legibility is never an issue. Yet if you find that the built-in system makes the display too bright or too dim at any point, simply adjust the brightness slider manually. The software will remember your adjustment and from that point on, whenever the phone encounters the same level of ambient light, it will apply your customized setting. No matter how unusual your specific requirements for screen brightness might be, within a week or two of tweaking the system you will have tuned it in a way that will satisfy you. Because Samsung loves throwing more options at you than you can possibly handle, there's a setting that will change the screen's resolution. In fact, out of the box, the S9+ is set to run at FHD+ (2220x1080), even though the panel is capable of WQHD+ (2960x1440). We're assuming this may save some battery, but we fundamentally disagree with the concept at play here: why pay a lot of money for a phone with the best display out there and then not enjoy every pixel it has to offer? Not to mention that savings are small at best and negligible in most cases. Let's talk about those curves. They still don't offer much from a usability standpoint, but they do make the phone look impressive when you're playing with it. Yes, you can use Edge panels if you want to, bringing your favorite apps and functions just one swipe away from the edge of the screen. But that doesn't really change the fact that the curved edges of the display are there primarily for cosmetic reasons. That's not a bad thing, however. Looks aren't everything, sure, but they count for something. They are important, and the way the content on the screen seemingly drops off into the sides is still an awe-inspiring thing to behold. The main downside (if you don't count glare) of the dual-curved panels Samsung loves so much has always been palm detection, or lack thereof. There's a good chance that the palm you're holding the phone with will trigger an unwanted touch event and, for example, launch an app you didn't want to because its icon was sitting in a bottom corner of the display. We're happy to report that this is almost a non-existent issue in the Galaxy S9+. It's not that we haven't had any such occurrences at all, but the amount of pain this has caused us is negligible. A couple of times a day at most is when you'll be surprised by actions you didn't intend happening, and that's it. We're not sure if Samsung's improved the palm detection with its Oreo build, or the hardware in this panel itself is responsible. No matter the reason, we'd call the S9+ about on par with the Note8 from this point of view, which itself was better than the S8 and S8+. Naturally, one way to ensure that you never encounter such problems is to use a case of any kind.